We are currently experiencing a mini refinance boom. Since the start of the year, mortgage rates have been on a slow, steady decline, dropping to their lowest levels since April of last year. The biggest drop in mortgage rates today is coming from the 30-year mortgage rates, which have shed close to 40 basis points in the past six weeks. Another of the mortgage rates today that has dropped is the 15-year fixed-rate loan. There are currently an estimated 7 million homeowners, which are eligible for a refinance in order to receive lower mortgage rates today. The refinance volume is heading towards its highest in three years time. Over the next year, it is estimated that refinancing households will save over $5 billion in mortgage interest. 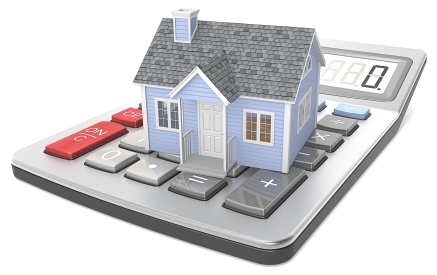 You can use the NSH Mortgage Calculator to use mortgage rates today to calculate what your payment could be. Today’s high volume refinance surge has come at a cost to the housing market. As the demand for these refinancing loans have soured, lenders are having a tougher time closing loans as fast as they could before this mini boom. According to Ellie Mae, which we discussed briefly in our last blog article, it is now taking an average of 48 days for a lender to close a refinance applicant’s application. This is now on average 9 days slower than compared to a year ago. A mortgage refinance is a financial transaction between the current mortgage of a homeowner, and a new mortgage they will be replacing it with. Due to the new mortgage having a better mortgage rates today, a homeowner takes out a new mortgage, pays off the current mortgage, and continues to pay for the new mortgage just like they did the current (old) mortgage. The first is a cash-out Refinance. A cash-out refinance requires the new mortgage to be larger than the old by at least 5%. Most of the time with mortgage rates today, a cash-out refinance is used for home improvement projects, paying off credit card debt, and to pay off student loans. The second type of refinance is the cash-in refinance. The cash-in refinance is essentially the opposite of the cash-out refinance. The homeowner brings cash to pay down on the current mortgage. This allows them to reduce their mortgage by at least 5%. The third kind of refinance is the most common, and is called a rate-and-term refinance. The rate-and-term refinance allows a homeowner to lower its mortgage rates, the term, or to do both. Some loans are designs to only be rate-and-term refinances. These include the FHA Streamline Refinance, the VA Streamline Refinance, and the USDA Streamline Refinance. With mortgage rates today, there are refinance opportunities for all types of homeowners. The typical refinancing household will be able to save more than 30% annually on their mortgage. For some, you may be able to save even more. Contact us over at NSH Mortgage if you have not had a refinance, or are interested in learning more about mortgage rates today.